Integrated Strategic Resources specializes in Systems Integration Management, Communications (RF & Wireless) and network Applications, Electronic Security, and Rail/Transit Operations Analysis. ISR has particular knowledge and experience on projects requiring extensive maintenance of operations, coordination with owner security requirements, local state and federal regulations, projects with specialized transportation needs, logistical expertise, limited site access and projects involving complex phasing and/or coordination. 505 Eighth Avenue - 25th Fl. 400 East Pratt Street 8th Fl. 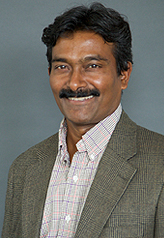 Surren Sirkisoon serves as Vice President of Systems and National Rail Transit Director. He joined ISR over seven years ago and has anchored the company’s emergence into the Communications and Electronic Security arena. Surren has balanced his duty to ISR and loyalty to clients while working with the agencies of the New York Metropolitan Transportation Authority, Amtrak and New Jersey Transit. Over a 2-decade span of time, Surren has worked hand in hand with agency engineers, construction managers and operators to design, construct, and integrate some of the most technologically challenging systems throughout these transit systems. He has gained the confidence of transit agency senior management and onsite project managers with his ability to work through problems and successfully bring together all parties (contractors, consulting engineers, agency engineering and operating departments) for project completion. Surren’s understanding of the railroad/subway working environment and synergies between Capital Programs, consultants, installers, equipment providers and operations and maintenance provides a unique level of experience for any systems integration project in a complex transit system. Brian Dolan Joins ISR as Vice President Business Development: Brian Dolan an experienced business development and marketing executive, has joined ISR as Vice President-Business Development. He has successfully led pursuits for major transportation projects in the New York metropolitan region and in other U.S. cities. Integrated Strategic Resources Names Eduardo Orellana Director Communications and wireless/Radio Frequency Technologies- Integrated Strategic Resources (ISR) has appointed Eduardo Orellana, Director Communications and Wireless/Radio Frequency Technologies. Mr. Orellana has more than 20 years of engineering and management experience. He is an expert in the field of radio frequency engineering and has significant project experience in systems integration, technical design, network optimization and deployment. Robert Spero, Senior Director of Rail Operations: A new face at Integrated Strategic Resources, Mr. Spero has more than 30 years of diverse experience in transportation operations, program and construction management, planning, customer service, training, and safety. His experience features the ability to coordinate and address the requirements of multiple parties, including operating departments, elected representatives, and the public.